Gaffers & Sattler is an old workhorse from the 1950’s. Although this brand is no longer produced, there are still thousands of these appliances still in use! At Cody’s Appliance Repair, we gladly offer Gaffers and Sattler repair. Even though this product is no longer produced, that does not mean that it should be thrown away! We have been successful repairing these appliances for many more years of useful life. Few repair companies have the technical skill, knowledge, or desire to attempt repairs on these units. But we are happy to provide Gaffers and Sattler repair for these wonderful, well-made appliances. Cody’s Appliance Repair is committed to providing the highest level of customer service possible. Our professional Gaffers and Sattler repair technicians arrive on time and fully prepared to deliver expert diagnostics and repair. Professional, honest service is our guarantee. We’ll have your Gaffers and Sattler appliance running in no time! We use cutting-edge technology to assist us in the proper and time repair of your appliances. We keep our service vehicles stocked with 1,000′s of parts, so we can often have your appliance up and running the same day. 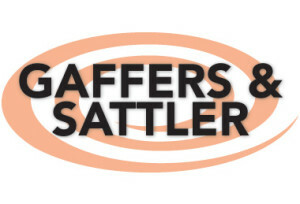 Call us for Gaffers and Sattler service today. We are here to help. You can also schedule service right here on our website, for your convenience. We provide Gaffers and Sattler repair in Boise, Meridian, Eagle, Nampa, Caldwell, Kuna, Middleton, Star, Emmett, or Horse Shoe Bend area. Call us today for service at (208) 938-1066.